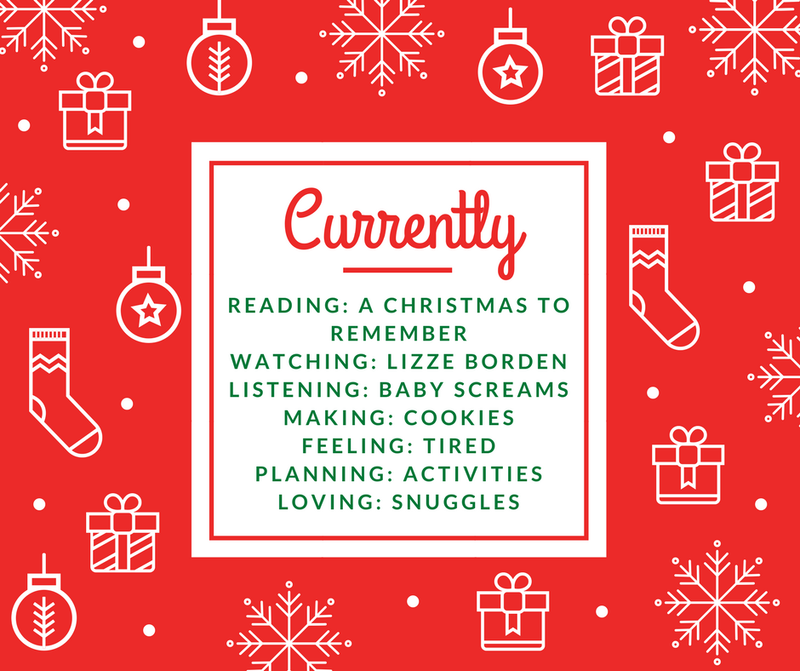 Reading: A Christmas to Remember anthology. I grabbed this collection from the library to read some historical romance for the holidays. Watching: Lizzie Borden Chronicles. So campy, but I'm loving it! Listening: Q is getting his canines and there's just been a lot of screaming lately. Making: Christmas cookies are on tap for this week. Feeling: So, so tired. The boys are not sleeping well at night and no one is napping. Planning: We've got some more Christmas activities to schedule before Christmas Day. Hoping to fit them in. Loving: With Q not feeling great, I have been get lots of snuggles.